Jan. 8 — The seemingly irresistible momentum of Haiti’s mass movement — combined with convincing evidence of widespread election fraud — have forced a surprise delay in the slow-motion theft of the 2015 national elections. 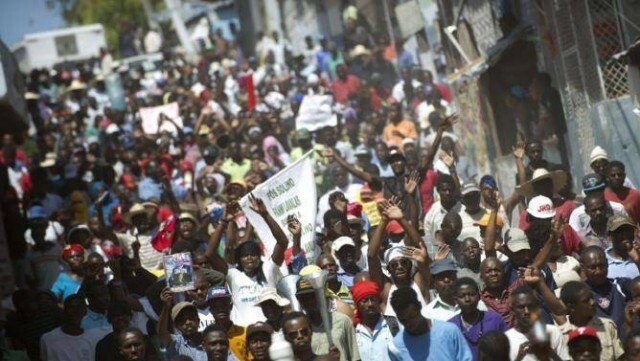 Demonstrators march against the government of Haitian President Michel Martelly. Faced with December’s incredible outpouring of nonstop demonstrations throughout Haiti — and daily revelations of vote rigging and voter suppression in the Aug. 9 and Oct. 25 elections — the authorities were constrained to postpone the runoff that had been set for Dec. 27. But there’s no end to the maneuvering by Haiti’s ruling elite, outgoing President Martelly and their foreign backers, determined as they are to thwart the popular will in this election. Ambassador Peter Mulrean said he sees “no evidence of massive electoral fraud.” But his “see no evil” pose is contradicted by Martelly’s own new election commission. This body disclosed on Jan. 4 that they studied 1,771 vote tally sheets and found 92 percent had “serious irregularities” amounting to “massive fraud.” Then, on Jan. 6, thousands marched to denounce Mulrean and Martelly: “Don’t steal our votes!” Ominously, while the people marched, a plane carrying top State Department operatives Thomas Shannon and Kenneth Merten touched down in Haiti. 78 out of 78 tally sheets tainted — Dr. Maryse Narcisse, Lavalas candidate for president, called a meeting at the Vote Tabulation Center as part of her party’s legal challenge. In attendance were election officials, observers, representatives of the ruling PHTK party and another contesting smaller party, Meksepa. They examined 78 randomly selected vote tally sheets (proces verbaux). All present agreed that every one of the 78 tally sheets was fraudulent, without exception. The U.S.-backed election commission (CEP) then abruptly ended the legally mandated verification process — invalidating those 78 particular tally sheets, but failing to check the over 13,000 tally sheets still to be verified. With that, the CEP inexplicably accepted the fraudulent election “results” as legitimate. U.N. implicated — Deputy Antoine Rodon Bien-Aime and two other PHTK candidates made a startling revelation about UNOPS, a United Nations agency assigned to transport ballot boxes to the Tabulation Center. They charged that while in U.N. custody, the ballot boxes were switched en route with boxes of pre-filled-out ballots. Separately, a National Palace official was involved in a vehicle accident in which pre-filled-out ballots, marked for the presidential candidate of Martelly’s PHTK party, Jovenel Moise, spilled on the road. The 2015 election “cannot be decided by the street,” Kenneth Merten said recently, pointing out that the U.S. had committed $31 million to fund the election, plus $2.8 million to the National Police for election “security.” [Some 10,000 police and 2,500 U.N. troops were deployed on election duty.] It’s clear the U.S. Embassy does not want “the street” to decide anything. For sale: 1 seat in Parliament — Speaking on Radio Metropole (12/17), Gerald Jean, candidate for deputy (congressman) for Ferrier, admitted he had paid $15,000 in U.S. currency to CEP member Yolette Mengual to ensure his victory in a disputed election. He told the radio audience he was angry that despite having made his payment, he did not win the seat he’d paid for. Inspired by the Haitians’ strong response to the election debacle, the Haiti Action Committee (HAC) issued a call for solidarity actions on Dec. 16 — the 25th anniversary of Haiti’s first free election in 1990. That was when Jean-Bertrand Aristide swept into the presidency with two-thirds of the vote on a platform of social and economic justice for the poor majority. 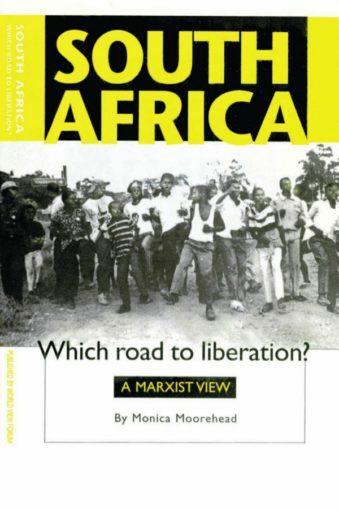 After barely seven months in office, Aristide was overthrown in a U.S.-backed military coup in 1991. In 2015, after being excluded for 11 years since a second U.S.-sponsored coup in 2004, Aristide’s Lavalas party was finally able to run candidates again, headed by presidential standard-bearer Dr. Maryse Narcisse. People in poor neighborhoods all over Haiti welcomed the grassroots campaign of Dr. Narcisse with obvious joy. And they marched on Dec. 16 against the brazen attempt to steal the election — in the cities and also in smaller places like Camp-Perrin and Port-Salut in the south. Meanwhile, Haiti’s overseas supporters were organizing. The call for Dec. 16 solidarity actions was widely promoted by the Haiti human rights community — activists, bloggers and organizations — on Facebook, Twitter and their websites. HAC’s Facebook post alone reached over 4,000 people. Thanks to this significant response, U.S. officials received a flood of emails, phone calls and tweets on Dec. 16 and beyond. The message: 1) Stop supporting fraudulent elections in Haiti, and 2) Stop support for police terror in Haiti. Friends of Haiti organized 25th anniversary actions or teach-ins in Los Angeles; Boston; Miami; Oakland, Calif.; Windsor, Ontario (Canada); Buenos Aires; Palo Alto, Calif.; New York (United Nations); London; and Washington, D.C.
National police and paramilitaries fired automatic weapons into working-class areas like Arcahaie and Cite Soleil in the leadup to the Aug. 9 and Oct. 25 elections. Scores of people were killed, including two pregnant women and a 7-year-old boy. Some were “disappeared,” never to be heard from again. Later, hooded paramilitary gangs attacked marchers in Port-au-Prince with machetes, pipes, hammers and guns, killing young election protesters as police looked away. 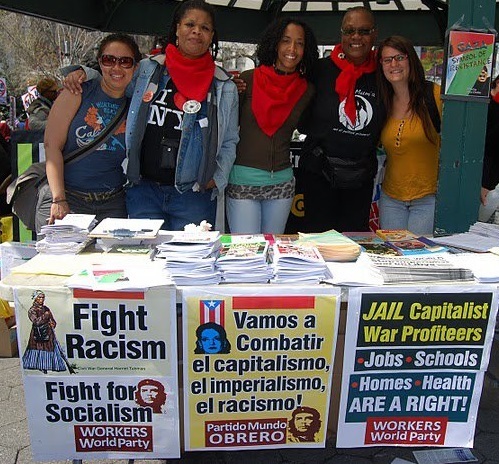 Now, people are noticing a rise in killings of local neighborhood organizers. During the Christmas holidays, the newly created special police unit, BOID, continued their killing spree in Lavalas strongholds of Port-au-Prince. But these death squad type actions — reminiscent of those carried out by the Duvalier dictatorship, or under the murderous Latortue regime after the 2004 coup — have not deterred the resistance. Many have commented that the Haitian people, in their vast majority, are very aware of their history — proud inheritors of the Revolution of 1791-1804, when Haiti defeated the army of Napoleon, ended plantation slavery and declared independence from France. The story of the Haitian Revolution has been passed on, in the oral tradition, from generation to generation. How does this connect with their battle in the streets today, to stop the ongoing “electoral coup d’etat” — to have their votes counted, their choices honored and their country’s sovereignty respected? 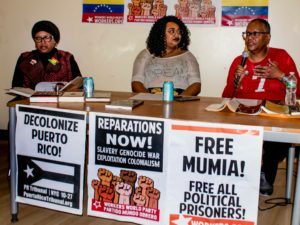 The author, a delegate to the San Francisco Labor Council, was a member of the Human Rights and Labor Fact Finding Delegation to Haiti in October, which reported on systematic voter suppression, violence, fraud and intimidation in the election process.